Please select the following department you wish to contact using the tabs below and a member of the Cobella team will get in touch. For all general enquiries, please fill out the form below or call 0207 938 4800. Franchising is made easier than ever with Cobella salons. With 30 years of business experience and an established brand identity within the hairdressing industry, you can own and operate your own salon with asset value in a short space of time. Our franchise programme is based on an understanding of the essential ingredients needed to build a successful salon and business. 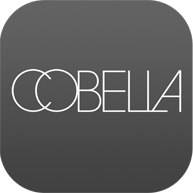 With tried & tested systems and a proven market for our products and services, the Cobella franchise is a guarantee to ensure the highest standards within the industry. Offering the franchisee with a blue-print for success! Please email admin@cobella.co.uk for more enquiries or call 0207 938 4800. If you are looking for an exciting and stimulating career, apply to the Cobella organization to discover the world of opportunities. To submit an application please email us at recruitment@cobella.co.uk or complete the form below. Alternatively please call 0207 938 4800. Contact our Marketing and PR department by email on marketing@cobella.co.uk, by phone: 0207 938 4800 or by completing the form below.